Ok, not quite the American horror film, but close. Many people in Singapore handle machines, big and small, at the workplace. Imagine this: you are familiar with your job, having worked with these machines almost every day of your life. But one day, you get distracted momentarily and the next thing you know, your hand gets caught in the machine. You survive but unfortunately, doctors are not able to save your fingers. Sounds disturbing? It can happen. In 2016, 143 workers in Singapore suffered from amputations or loss of use of a part of their body as a result of a workplace accident. That works out to almost one amputation every two days! Of greater concern is that this was an increase of 22 per cent from 117 cases in 2015. Last year, 56 of these amputation cases were caused by industrial machines and 20 were caused by industrial hand tools. Such incidences are especially prevalent in the manufacturing (specifically metalworking) and construction sectors, which contributed 54 cases (38 per cent) and 46 cases (32 per cent) respectively in 2016. To lose a limb is a serious matter and I am deeply concerned with the rising numbers. Many workers who have suffered such injuries have related their experiences on how their lives, both at home and at the workplace, have been significantly affected after the accident. A worker operating a metal printing line was checking on a machine when his right hand’s cotton glove, which was not tightly worn, was caught by the in-running nip point between the motor’s belt and the pulley, pulling his right hand in. As a result, he sustained a crushed index finger, broken third finger and severed fourth finger on the right hand. In this case, the risk assessment done on the task was clearly inadequate. It did not identify the risk posed by the motor’s moving parts. As a result, the motor’s pulleys and belt, as well as transmission shaft were not securely guarded. The accident could have been avoided if the machinery used was properly assessed, and all foreseeable risks and control measures captured into its risk assessment, including having the machine fencing and guards secured for its dangerous parts. The worker too could have taken extra care to ensure his gloves were worn properly. In another case, a worker was using a portable cut-off saw to cut some iron rods to the required lengths. He also grinded the sawn ends of the iron rods against the flat surface of the saw’s abrasive wheel to remove the sharp burrs. 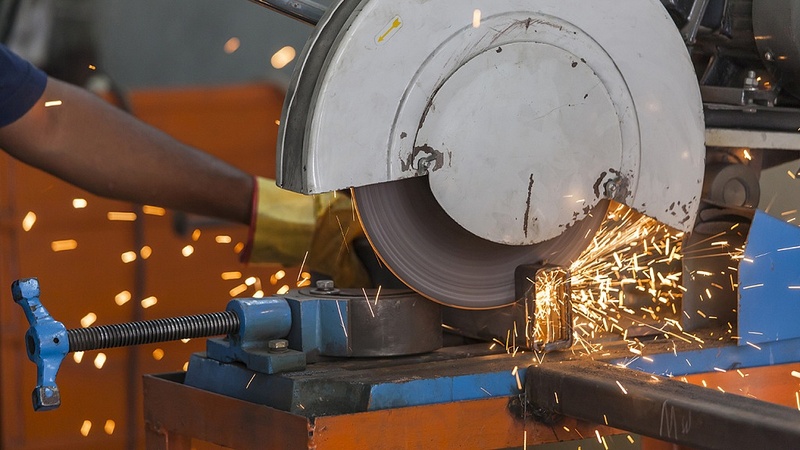 Unfortunately, the iron rod which he was grinding slipped and caused his left thumb to come into contact with the fast rotating abrasive wheel, severing it. The use of the cut-off saw for grinding purposes was not in accordance to the manufacturer’s design and intended manner of use. After the incident, it was discovered that the self-adjusting safety guard on the cut-off saw was also missing. Apart from ensuring that only proper/suitable equipment are used for the required task, it is important that employers ensure the user’s competency to operate the equipment. It is important that equipment are used for their intended purposes and that employees are competent in operating them. First, we must Enlighten our workers. In our engagements with workers, we have come to realise that WSH awareness in some workplaces remains poor. And not surprisingly, the most common causes of hand/fingers injuries were behavioural in nature. For example, failure to follow Safe Work Procedure, not using personal protective equipment (PPE), removal of machine guards, etc. Every worker must take responsibility of their safety when operating machines at the workplace – they must know fully how to operate the machines, use the necessary protective gear and follow the safety procedures. 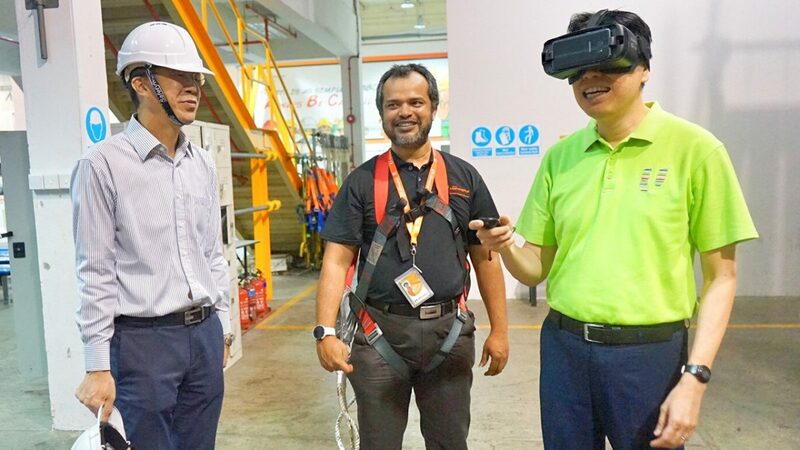 The NTUC WSH Secretariat has intensified our outreach and engagement efforts with companies and workers in the past year, especially in the two high-risk sectors – metalworking and construction. At these roadshows, our union leaders and safety advocates continue to emphasise on the importance of ensuring proper usage and maintenance of the correct types of PPE to protect workers’ hands and legs when operating various machinery. While these may sound like the obvious, many workers often take this for granted. Second, we must Enable our workers through better knowledge on how to conduct risk assessment and identify dangers at the workplace. The NTUC WSH Secretariat is developing a guidebook on the ‘Prevention of Caught In-Between Objects Hazards’. The guidebook will provide practical solutions to safeguard machinery’s rotating/moving parts. It will also contain best practices, such as the use of light curtain sensors, that have been implemented to prevent such accidents. The guidebook aims to equip our workers and site supervisors with the necessary knowledge to make their workplaces safer. We hope that our Government agencies and employers can continue to share new relevant case studies, so that the lessons learnt from an incident can be shared promptly to prevent future similar occurrences. Third, we must Empower our workers to make safety a top priority at the workplace. 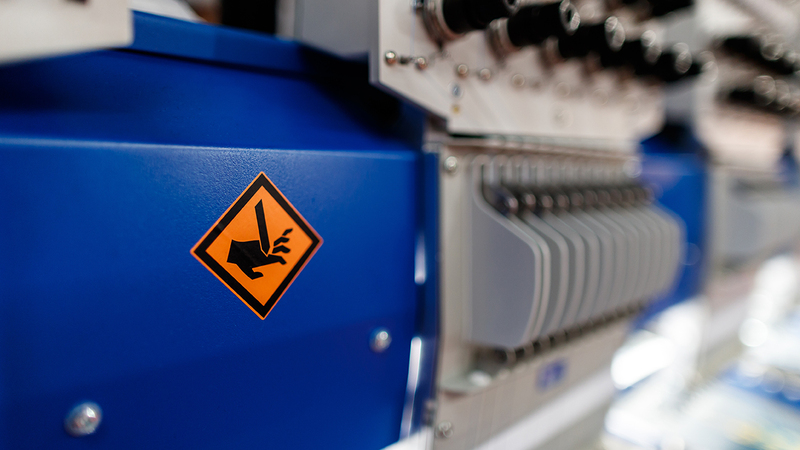 All accident can be prevented if a proper, comprehensive risk assessment is carried out, and more critically for machine-related work processes. Safe work procedures should also be instituted and implemented. Workers handle the machines daily and know the intricacies of the work processes better, so they are in the best position to advise on the level of risk involved and appropriate control measures to be undertaken. But precisely because some workers have operated the same machines for so many years, they become complacent. That’s when accidents happen. We must take nothing for granted. When workers are involved in the risk assessment, it empowers them to make informed decisions to achieve the desired results while minimising the potential risks and harmful outcomes. There are also simple practices that the industry can adopt. For example, at some factories that I visited, the plant supervisors regularly walk the ground to talk to the workers and to identify unsafe equipment or processes. 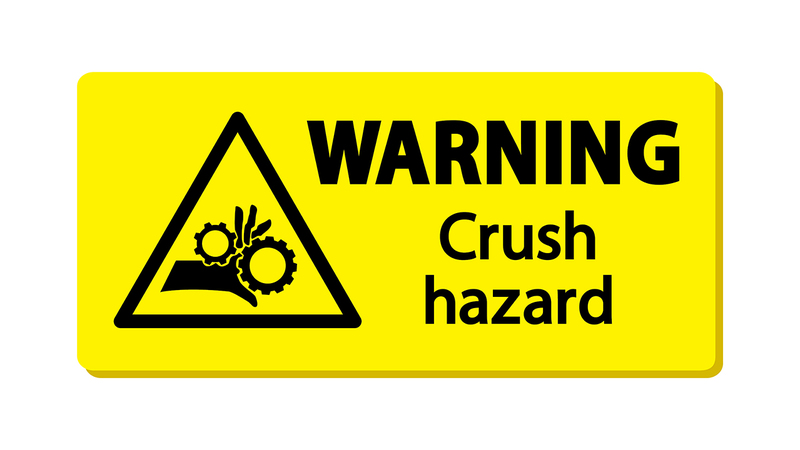 At some workplaces with heavy machinery, I have seen distinctive warning labels to alert workers to the potential dangers. Distinctive warning labels alert workers to potential dangers. 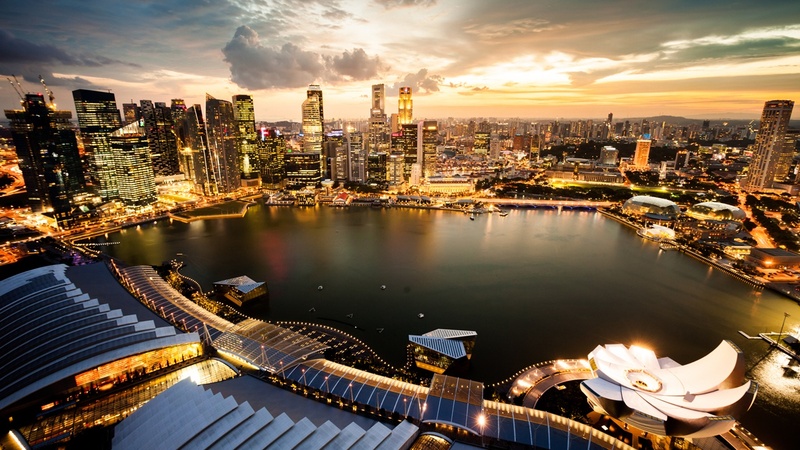 In Singapore, the existing Work Injury Compensation (WIC) system focuses mainly on compensation rather than upstream prevention and rehabilitation for injured workers. There is an absence of an occupational rehabilitation and work injury management framework to guide various stakeholders, including the employee, employer, healthcare professionals and insurers, in the return-to-work (RTW) process. At NTUC, we have been advocating for the adoption of RTW practices. We want to support and help our injured workers to recover quickly and to return to work. We have seen in some countries that a customised case management approach by RTW coordinators can help injured workers recover faster through structured rehabilitation. This includes helping employers adjust their workplaces or redesign the jobs to facilitate the injured worker’s return to work. In July 2017, NTUC partnered the WSH Council to convene the first focus group discussion on RTW with union leaders from the Building Construction And Timber Employees’ Union, The Singapore Manual & Mercantile Workers’ Union and United Workers of Petroleum Industry. We are working closely with our tripartite partners to establish a comprehensive RTW framework in Singapore. Our vision is a simple one. All workers should go to work happy, and return home safely. But should the unfortunate happen, we must be able to help our injured workers recover quickly and reintegrate them back to work so that their livelihoods are not adversely affected. This is a post by Secretary for NTUC WSH Committee, Melvin Yong. Any extracts should be attributed back to the author. 19 September 2017.